According to the U.S. Department of Energy, making sure your home’s air conditioning system is properly maintained is important. They inform us, “neglecting necessary maintenance ensures a steady decline in air conditioning performance while energy use steadily increases.” Getting your air conditioning system’s fins, coils and filters maintained regularly helps your unit run effectively and efficiently over its lifetime. But what if you don’t get maintenance? How will your system be affected? Is it really necessary? Filters: Your air conditioning system’s air filters allow air to flow freely through your system, and help keep dirt and debris from entering the air in your home. If your filters are dirty, though, they’ll block the normal airflow – and that can greatly impact your AC system’s efficiency. Not to mention, if your filter is too dirty to do its job, that dirt and debris can build up in evaporator coils and cause even more issues. Changing your filters is easy, and can lower energy consumption by up to 15 percent. Coils: The evaporator and condenser coils in your home’s air conditioning system are kind of dirt magnets, and even with the proper filter changes, they can accumulate dirt easily. Condenser coils that are in the outdoor part of your unit are especially subject to collecting dirt – especially if you live where it’s dusty, or if there is a lot of foliage around your unit. Falling leaves, lawn mower clippings, and even dryer vents can lead to debris concerns. As a result, it’s important to have a technician maintain your system yearly. Fins & Drains: The aluminum fins on your evaporator and condenser coils can very easily get bent. As a result, the airflow through the coil can get blocked. And, your condensate drains can get clogged easily, too, causing excess moisture in your system. Your technician has the right tools to remedy both bent fins and clogged condensate drains – helping your system work more effectively and efficiently. Getting preventive AC maintenance yearly ensures your system is getting the checkup it needs. Call Stafford Mechanical Services, Inc. to schedule your spring air conditioning maintenance. Stafford Mechanical Services, Inc. is ready to help you with your spring air conditioning maintenance needs. We proudly service Carrier® and many other brands as well. Just give us a call at 860.684.9485, and we’ll be happy to help you get preventive maintenance for your AC system. It’s easy to take your home comfort system for granted. It works quietly in the background, helping you stay warm in the winter and cool in the summer. As long as you and your family are comfortable, you might not pay much attention to it at all. But, when something goes wrong, you’ll likely find yourself in a frustrating predicament either requiring costly repairs or potentially, even system replacement. But there’s good news – a little love goes a long way when it comes to your home’s heating and cooling equipment. And the best way you can give your home comfort system the love it needs is by choosing annual maintenance. When you count on a qualified contractor to provide you with the preventive maintenance you need for your heating and cooling equipment, you’re helping to ensure that your system operates effectively and efficiently all year long. What’s more, getting preventive maintenance can help prolong the life of your system as well. And, that can help you save money now and in the long run, too. Annual maintenance from Stafford is one of the best gifts you can give your home comfort system. Moving parts are cleaned and lubricated. This helps your system operate more effectively and efficiently. It also allows our technicians to take note of any small problems. That way, they can them repaired before they become larger, more costly issues down the road. Filters are changed. Believe it or not, changing the filter in your home comfort system is one of the best ways you can improve its operation and efficiency. Equipment has to work extra hard when pushing heated or cooled air through a dirty filter. Not to mention, your home’s air will be cleaner, too. Maintenance helps keep your warranty intact. Many people don’t notice it, but often in the fine print of their equipment warranty is the requirement of annual maintenance. And, if they don’t get maintenance as outlined, this can often mean that the warranty on the equipment becomes void. Your equipment will last longer. Think about it this way – what if you never got your car inspected, or the oil changed, or installed new wipers or tires when needed? It probably would not last very long. 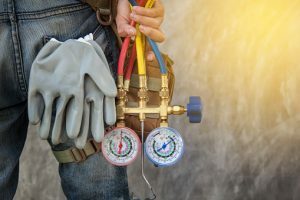 Furnaces, boilers, heat pumps and air conditioners are mechanical like a car, and require maintenance in order to run optimally, and keep running that way for years to come. 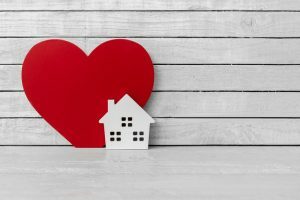 Show your home comfort system the love by getting preventive maintenance and taking a few simple steps. While we can’t emphasize enough the importance of annual maintenance, there are a few things you can do yourself to keep your comfort system running smoothly. As we mentioned above, changing the filter is important, and a part of annual maintenance. But, when your furnace or AC is running continually during the very cold and very hot times of the year, your filter probably should be changed monthly for the maximum benefit. You can do this quite easily yourself, but if you’re not sure how to, our technicians will be happy to show you or do it for you. Also, a programmable thermostat can work in harmony with your home comfort system, helping maximize your heating and cooling, which in the long run provides greater equipment efficiency. There are even smart thermostats available that actually “learn” homeowner habits and adjust temperatures accordingly. These can be controlled easily from your phone or computer, even when you’re away from home. Stafford Mechanical Services, Inc. is ready to help you show your home comfort system the love it deserves. We proudly service Carrier® and many other brands as well. Just give us a call at 860.684.9485, and we’ll be happy to help you with your preventive maintenance needs. Posted in Air Conditioning, ductless, News, Residential Work, Seasonal MaintenanceLeave a Comment on Need Air Conditioning Services? Count on Stafford! There’s nothing better than turning on your air conditioner on a hot, humid summer day and enjoying the cool comfort it provides. But did you know that in order for it to run its absolute best, it should receive regular maintenance? That’s why we recommend to our customers that they contact us in the spring to schedule their AC maintenance, before the hot weather hits. But many people wonder, is air conditioning maintenance worth the price tag attached? onditioner won’t do as much to keep your home comfortable during the hot weather, but your energy use – and your utility bills – will increase. And nobody wants that! The DOE explains how maintenance can help your system run more efficiently this summer and for years to come. It seems almost too simple, but the most important maintenance task when it comes to the efficiency of your air conditioner system is routinely replacing or cleaning of the filter. Why? Because once your air conditioner’s filter gets clogged and dirty, the air simply cannot flow through easily. And that reduces your system’s efficiency, making it use more energy to run, and thus hiking up your utility bills. Your air conditioner has evaporator and condenser coils, and they collect dirt and debris during their months of use – especially if the filters aren’t changed frequently. When the evaporator coils get dirty, airflow is reduced and they lose their ability to absorb heat. Outside, your condenser coils are at the mercy of nature – especially in environments where there’s a lot of foliage and/or dust getting kicked up. For your part, you can reduce the chance of debris getting into your condenser coils by keeping the area clear of falling leaves, dryer vent discharge and lawn mower clippings. Coil fins will also be checked for bending and will be “combed” back into original position if needed. Part of your annual maintenance includes clearing out your air conditioning unit’s condensate drain channels. If these become clogged, your unit will not be able to effectively remove humidity… and that can lead to excess moisture in your home. Unfortunately, too much moisture can lead to discoloration of walls, carpet and furniture, and can encourage mold and mildew growth. 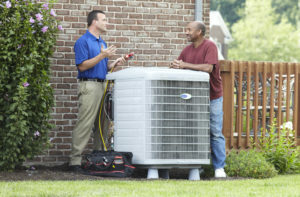 Your technician will make sure your system has the correct amount of refrigerant, and if not, they will test for leaks. Then, they’ll capture any of the refrigerant that needs to be evacuated from the system. (It’s illegal to release refrigerant into the environment, because of the potentially harmful effects.) Any leaks will be repaired, and the technician will make sure your system is charged with the proper amount of refrigerant. Keeping an eye on your air conditioning systems electrical system is also important – issues with the electrical system can cause your AC to malfunction. Your technician will ensure that your system is operating under the correct electrical control sequence, and that your AC and furnace can’t operate at the same time. They’ll also inspect all electric terminals, and tighten and clean connections. As you can see, there are many moving parts to your air conditioning system, and making sure they’re all working together in harmony is an important part of keeping your AC running effectively and efficiently. At Stafford, we’re pleased to offer our customers air conditioning maintenance agreements that will help you get comprehensive AC services for your home. So don’t hesitate – give us a call at 860.684.9485 to get your spring maintenance scheduled today! Most people make sure their vehicles have the proper windshield wipers and tires before the winter weather hits. They likely take their car in for a tune-up, inspection and oil change before the snow flies, too. Yet, many of us don’t think of our home comfort equipment the same way. But, the furnace in your home needs proper care in order to run its very best, just like your automobile does. You may have heard about seasonal maintenance, but you may not understand the importance of it. At Stafford Mechanical Services, Inc., we think it’s important to do more than simply tell our customers that they need a product or service. That’s why we take the time to explain to you the benefits of the services we provide. That includes seasonal heating maintenance. Choose us to help you get the maintenance you need for your furnace. You’ll quickly see the advantages every time the heat kicks on. When you maintain your furnace properly, it enjoys better energy efficiency. That’s because mechanical components are lubricated and work more efficiently, requiring less energy to get the job done. And, cleaning or changing out the filter helps with efficiency, too, as your furnace can easily circulate air through your home – instead of trying for force it through a clogged, dirty filter. Seasonal maintenance helps to prolong the life of your equipment. All the important inner workings of your equipment are checked, cleaned and maintained, so It also helps to find any tiny issues and remedy them before they become larger ones that are more difficult to fix. Think about it – when your furnace isn’t clean, how can the air moving through it be? A well-maintained system allows for freer airflow – and keeping your filters changed or cleaned on a regular basis is an important part of that. Your filter will trap many of the common allergens that plague your home, including pollen, dust, and pet dander. Getting furnace maintenance helps you breathe easier – literally! Even with preventive maintenance, sometimes you may need repair services. Usually, annual maintenance helps keep the repairs on the smaller – and less costly – side. When you have a maintenance plan from Stafford, you will save money on your repairs, should you need them. Plus, many warranties indicate that annual maintenance is necessary for the warranty to remain valid. When your furnace is running properly, your whole home will be more comfortable. As mentioned above, you’ll have better indoor air quality. And, it’s less likely that your furnace will experience any fires or carbon monoxide emissions, so you can feel a whole lot safer when your furnace is maintained. Helpful hint – coincide checking and/or changing smoke and CO detector batteries with your annual furnace maintenance for an added layer of protection. Stafford Mechanical Services, Inc. provides the seasonal maintenance you need for your home. As you can see, seasonal maintenance is an important part of staying comfortable all winter long. To get the furnace maintenance you need for your home’s comfort and safety, simply contact Stafford Mechanical Services, Inc. and we will be more than happy to help you get the maintenance you need.